« What is the best forum for value investors? Last May in How to beat The Little Book That Beats The Market: An analysis of the Magic Formula I took a look at Joel Greenblatt’s Magic Formula, which he introduced in the 2006 book The Little Book That Beats The Market (now updated to The Little Book That (Still) Beats the Market). 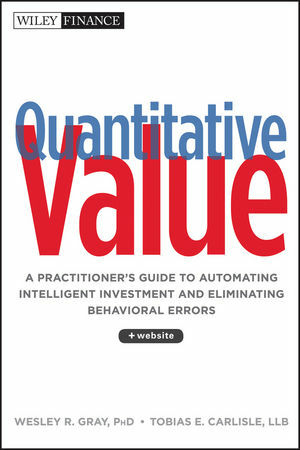 Wes and I put the Magic Formula under the microscope in our book Quantitative Value. 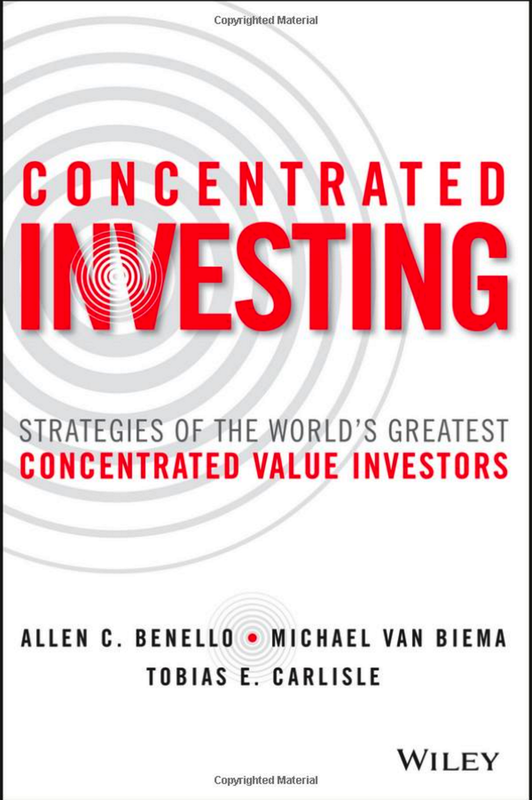 We are huge fans of Greenblatt and the Magic Formula, writing in the book that Greenblatt is Benjamin Graham’s “heir in the application of systematic methods to value investment”. The Magic Formula follows the same broad principles as the simple Graham model that I discussed a few weeks back in Examining Benjamin Graham’s Record: Skill Or Luck?. The Magic Formula diverges from Graham’s strategy by exchanging for Graham’s absolute price and quality measures (i.e. price-to-earnings ratio below 10, and debt-to-equity ratio below 50 percent) a ranking system that seeks those stocks with the best combination of price and quality more akin to Buffett’s value investing philosophy. The Magic Formula was born of an experiment Greenblatt conducted in 2002. He wanted to know if Warren Buffett’s investment strategy could be quantified. Greenblatt read Buffett’s public pronouncements, most of which are contained in his investment vehicle Berkshire Hathaway, Inc.’s Chairman’s Letters. Buffett has written to the shareholders of Berkshire Hathaway every year since 1978, after he first took control of the company, laying out his investment strategy in some detail. Those letters describe the rationale for Buffett’s dictum, “It’s far better to buy a wonderful company at a fair price than a fair company at a wonderful price.” Greenblatt understood that Buffett’s “wonderful-company-at-a-fair-price” strategy required Buffett’s delicate qualitative judgment. Still, he wondered what would happen if he mechanically bought shares in good businesses available at bargain prices. Greenblatt discovered the answer after he tested the strategy: mechanical Buffett made a lot of money. Wes and I tested the strategy and outlined the results in Quantitative Value. We found that Greenblatt’s Magic Formula has consistently outperformed the market, and with lower relative risk than the market. Naturally, having found something not broke, we set out to fix it, and wondered if we could improve on the Magic Formula’s outstanding performance. Are there other simple, logical strategies that can do better? Tune in soon for Part 2. Setting aside the question ‘does the little book indeed beat the market?’, I think that the underlying thesis of Greenblatt’s work is absolutely sound and the formula can be used as a tool to screen for undervalued stocks. I recall attending a lecture (shortly after the book was published) in which someone asked Joel G whether the formula unjustly favored service companies over product manufacturers since servicers dont carry many hard assets and therefore tend to have higher ROIC (all else being equal). Joel G’s response was that the formula works regardless – sort of like saying ‘end justifies means’ so why quibble over the details? I am not so sure if I would be as dismissive of the quesition as he was, sort of surprised me. There is one more issue that bothers me about the Magic Formula (bearing in mind that I think of it as a screen rather than a basis for picking stocks): It completely ignores goodwill by not adding it in the denominator when calculating ROIC. That is a big problem, from my view point, since it distorts reality and doesnt penalize companies that might have made horrible acquisitions. It’s an interesting point you raise about the formula favoring service providers over manufacturers. There’s an argument to be made that it does in fact do this, and it’s no accident. If your definition of a good stock is one with high ROIC, you’re explicitly seeking asset-lite businesses that can grow with a minimum of reinvestment, and service businesses fit the bill. I don’t quibble with the theory, but, in practice, the strategy seems to find stocks at the peak of the business cycle (see my summary of Mauboussin in ROIC and reversion to the mean: Part 1, 2 and 3). We show in Quantitative Value that the quality factor acts to reduce returns, and eliminating it leads to better performance. As to cherry picking from the screen, the research seems to show that it doesn’t work. See, for example, my summary of Greenblatt’s article, Adding Your Two Cents May Cost a Lot Over the Long Term. His article fits all the behavioral finance theory, which we also discuss in the book. Beating The Little Book that Beats the Market shouldn’t be any great shakes since the little book doesn’t beat the market itself. As you’re aware, after the publication of Greenblatt’s book a cottage industry of sorts grew up based on the principles he’d outlined. then I can give you a pretty good model backtesting results that looks like a value-oriented investment strategy even if it isn’t. The problem with magic formula companies is that too many of the stocks in the top 50 are value traps whose business models aren’t sustainable, and are on the list when the past 12 months is a poor predictor of future returns. Just my $0.02 worth, as always. Thank you for your comment. There are a number of real world applications of the Magic Formula, and I agree that the results are mixed over the brief period examined. For example, the Formula Investing US Value Select A (FNSAX) has outperformed (just) after fees since its November 3, 2010 inception, as has the Formula Investing US Value Select I FNSIX since its inception on the same date, and the Formula Investing US Value 1000 A (FVVAX) has also outperformed since inception. The U.S. Value Direct Composite Returns of Actual Accounts (Net) is now underperforming, although it has only ceded the lead to the S&P500 as of July last year (2012). The international mutual funds (FNAAX, FNAIX, and FNVAX) have underperformed since the December 17, 2010 inception date. The Tax-Managed International Value Composite Returns of Actual Accounts (Net) have outperformed since inception on April 1, 2010. I think you’d agree that the period under examination is too short to condemn the strategy. It needs at least a full cycle before we can say that it doesn’t work. I’d guess that it will outperform given a full cycle. Value strategies always look ugliest in a mature bull market, which I believe this is. I agree that many of the stocks you’ve identified appear to be value traps. They may all turn out to be losers, but I think we need to consider Greenblatt’s assertion in the article that you reference (Adding Your Two Cents May Cost a Lot Over the Long Term) that investors systematically avoid buying many of the biggest winners because they look like losers / value traps. I don’t think we can categorically declare that these stocks are value traps until we give them time to work their way out of the screen one way or another (i.e. they’re too expensive because the stock price is up, or the fundamentals are destroyed). The main problem with the Magic Formula is that the quality factor reduces returns (although there may be other reasons for using it). Another critique of the Magic Formula is that it tends to pick cyclical stocks at the top of the cycle. I have some sympathy for that view, but it’s hard finding evidence of it in the data. Single-year price ratios perform comparably to longer cyclically-adjusted averages of price ratios. No it hasn’t, and it doesn’t even look close since it appears that the S&P 500 has whipped Greenblatt’s investment fund by something on the order of 600 basis points or thereabouts. Again, not so. It looks like the S&P 500 has beaten this fund by something on the order of 800 basis points give or take. That’s better, though the S&P 500 still appears to be outperforming Greenblatt’s fund by something on the order of 200 basis points more or less. Why would anyone bother with Greenblatt when they can put their money into an S&P 500 index fund and pay Vanguard or Fidelity 20 basis points (or less) and avoid all of Greenblatt’s drama and self-promotional hype? And what I meant by the comment about interest rates, commodity prices and the earnings of the S&P 500 is that backtesting models are inherently flawed, since embedded into previous earnings are the data that drive them, like commodity prices, the slope of the Treasury yield curve (and related borrowing costs) and other unanticipated events. That’s why Greenblatt’s thesis of looking at companies with high returns on invested capital is fatally flawed from the get-go, and you see it manifested in his real-world returns. The problem with your charts is that they only go back 12 months (look in the link, it says “range=1yr”). If you go back to inception as I suggested (November 3, 2010 for FNSAX, and FVVAX) you can see that the Magic Formula is ahead. There’s a data issue with FNSIX on Yahoo (the data for 2010 and much of 2011 are missing). It is ahead on my Morningstar link. Clearly the last 12 months have been unkind to the Magic Formula, as it has been for many value strategies. I think the others will get there over the full cycle. The indices are good measures of the market, but flawed investment strategies for the reasons outlined in a few places here on Greenbackd (for example, see my summary of Greenblatt’s / Rob Arnott’s fundamental indexation idea, “Equal Weight and Fundamental Indexing Beats The Market“). We agree on Greenblatt’s ROIC measure. As I said above and have said repeatedly on this site, and in the book, it underperforms the market, and the Magic Formula value measure alone. Why? I suspect Mauboussin is right, and it’s a function of mean reversion (see ROIC and reversion to the mean: Part 1, 2 and 3). I still don’t understand the point you are making about interest rates, commodity prices and the earnings of the S&P 500, or how they relate to the Magic Formula backtests. Which price ratio outperforms the enterprise multiple?